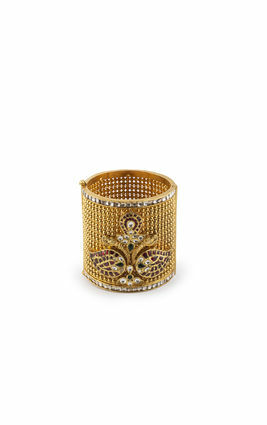 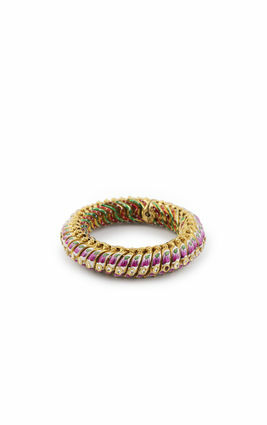 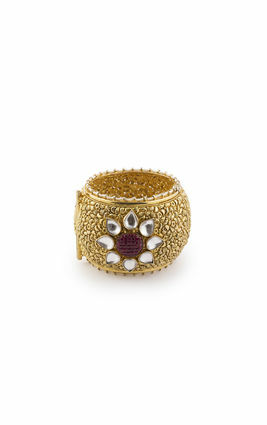 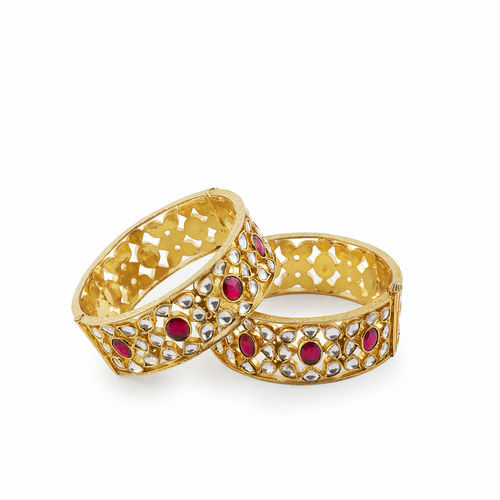 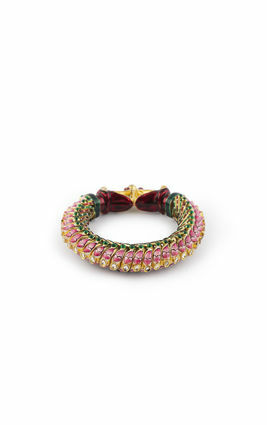 Gold-polished Kundan bangles handcrafted from the finest silver, with white and pink stones set in a jaali pattern. 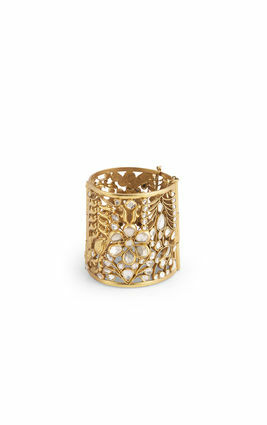 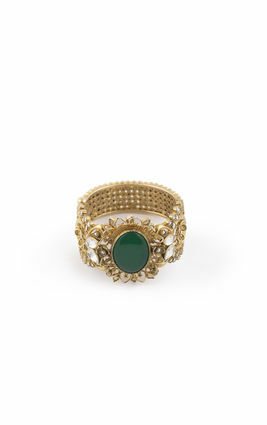 Channel the royal within you as you pair these bangles with your most beautiful silks. 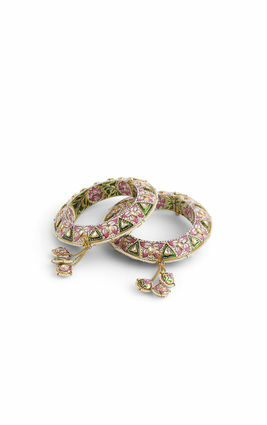 Gold-polished Kundan bangles handcrafted from the finest silver, with white and pink stones set in a jaali pattern. 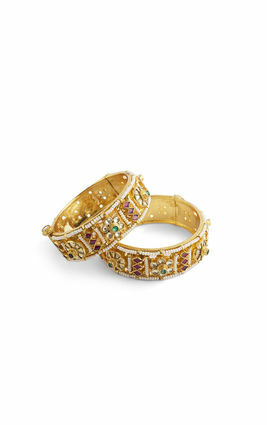 Channel the royal within you as you pair these bangles with your most beautiful silks.